Good Morning! Oatmeal muffins for breakfast. Baked a few days ago. I kept leftover muffins in freezer, now nuked to nice warm muffins. 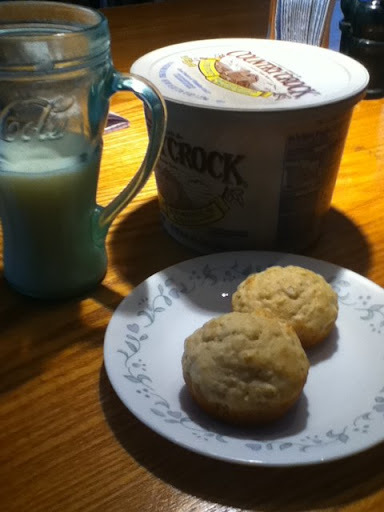 I wish I had strawberry jam and orange juice, but I will have to settle for Country Crock and milk.